Do Not Thaw * Do Not Overcook. 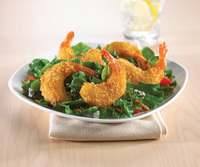 Fry in clean oil at 350°F/170°C for 2.5 - 3 minutes or until golden brown. 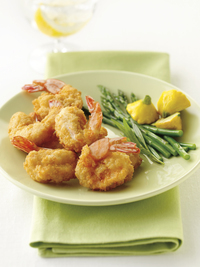 MRS. FRIDAY’S® BREADED ROUND TAIL-ON SHRIMP 33/38 CT.